The FlexPort μWave family of microwave radio systems has been designed specifically to meet the requirements of operators, carriers, and service providers requiring full-rate gigabit connectivity in a single,compact, all-outdoor enclosure. 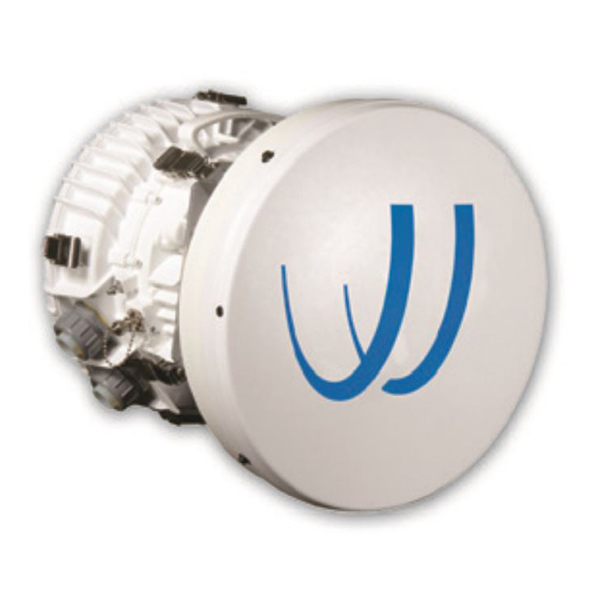 FPμWave is available in two configurations yielding ultra high capacity connectivity:The -1000 model uses 256QAM and one 150 MHz (18 & 23 GHz) or 160 MHz (24 GHz) channel to yield 1000 Mbps full-duplex transmissions. For environments where a single 150/160 MHz channel cannot be utilized, the -700 model uses 64QAM and three 50 MHz (18 & 23 GHz) channels to provide 700 Mbps full-duplex transmission.